Want to watch your favorite movies on your mobile devices? If you have those movies on your DVD, there’s a way to get them onto your mobile devices. There are programs that can help you do that. All you need to do is get the right program and convert your DVD collection to MP4. Seeing as how Windows 7 is still the mainstream operating system on most computers, I would introduce to you how to convert DVD to MP4 on Windows 7. To rip DVD to MP4 Windows 7 users can try using Leawo DVD Ripper. As you know, most DVDs out there have copy protection on them which prevents users from copying them easily. To successfully convert DVD to MP4, you will need a DVD to video converter powerful enough to get around that. And Leawo DVD Ripper is one of those programs that can rip protected DVDs. The most appealing selling point of the program is that it can rip DVD to MKV losslessly. 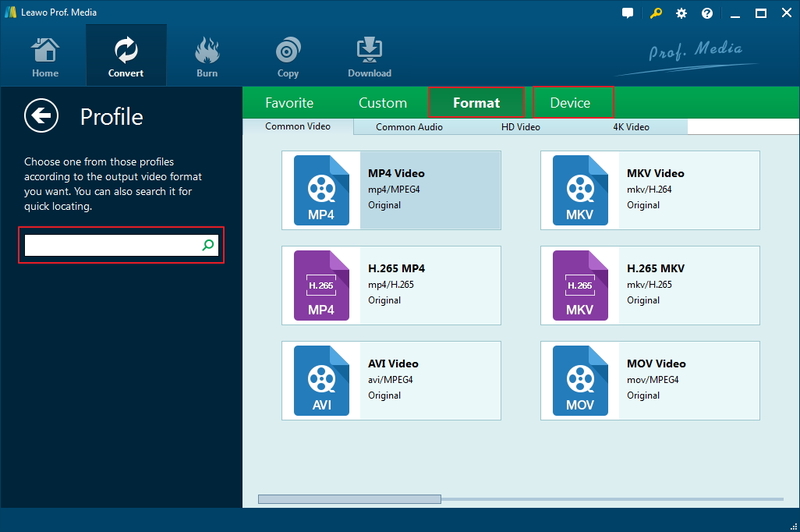 But it can also rip DVD to other video formats, and MP4 is one that is supported by the program. While the MP4 video will be compressed, there won’t be much quality loss. Most people won’t be able to tell the difference as the MP4 video will still be of high quality. The program can run smoothly on Windows 7/8/10 and macOS and more. Check out the detailed guide on using the program to convert DVD to MP4 on Windows 7 in the content below. After you install the program on your computer, you might find that the program is not called Leawo DVD Ripper, instead, it’s Leawo Prof.Media. It’s completely normal as Leawo DVD Ripper is part of Leawo Prof.Media. Leawo uses Prof.Media as a software suite to include some of its best -selling products in it. There are totally 8 different modules inside it and Leawo DVD Ripper is one those. Step 1. Open Prof.Media, the main interface will have all 8 modules presented on it. Find DVD Ripper and click the icon of it to load DVD Ripper. Step 2. Enter the disc in your DVD drive so you can import the content to the program. You can do it in two ways. 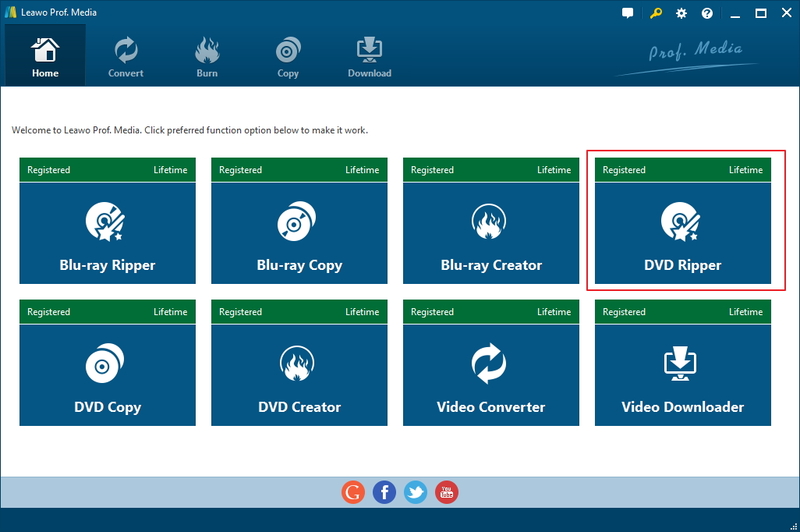 Drag the DVD folder from Windows File Explorer or click Add Blu-ray/DVD>Add from CD-ROM and select the disc. Step 3. After a few seconds of loading time, all the videos in the disc will be loaded to Leawo DVD Ripper. And they will be listed on the following interface on the left side. On the right side is the video player you can use to play the videos in the disc. Some of you might be confused by the 3 buttons on top of the video title list. They are for selecting different videos in the disc for ripping. You can use Full Movie to select all the videos in the disc for ripping and Main Movie to select the movie, which, by default, is the longest video in the disc. And you can reselect another video in Main Movie mode. If the former two options don’t meet your needs, you can then use Custom Mode to manually select the titles from the list. After deciding which mode to go with, click OK to confirm it and Leawo DVD Ripper will have the videos you’ve chosen added to the conversion list. Step 4. You can find several buttons above the conversion list. The second button from the right is the Format button which is used for changing the default output format. On it you can see the format that is currently being set as default. Click on it and select Change to open a panel that holds all the available formats. Find MP4 from this panel and click on it to make MP4 the default output format. When you previously click the Format button, you should also see an Edit button on the menu that follows. If you feel like adjusting the parameters of the MP4 format, you can click that button to get to the Profile Settings page where you are allowed to change the parameters. Step 5. Click the Convert button to the right of the Format button. A sidebar would emerge from the right of the conversion list, showing you the output path and a Convert button on it. You can reset the default output path by clicking the “…” button next to it. And then start the DVD to MP4 conversion by clicking the Convert button. Leawo DVD ripper is powerful and convenient, but it isn’t free. If you are looking for a way to convert DVD to MP4 on Windows 7 without paying for it, check out Handbrake. Most people know it as a video encoder, but in fact, it can also rip DVDs. Normally it can only convert unprotected DVDs to MP4, but there’s a way to get around the copy protection and allow Handbrake to rip DVDs. Just download a DLL file named: libdvdcss-2.dll and put it in Handbrake’s program folder and Handbrake would be able to rip protected DVDs. Note that the libdvdcss-2.dll file has 32-bit and 64-bit versions. Please download the right version accordingly. After placing the file in Handbrake’s program folder, you can start to convert DVD to MP4 on Windows 7 with it. 1. First open Handbrake and click Open Source, and then select the disc in your disc drive to load the disc to Handbrake. 2. All the videos in the disc will be in the Title drop-down menu, click on the menu and select one title from it, and then click Add to Queue to add it to the queue for converting to MP4. As you can see, you can only add one video to the queue at a time, so if you have more than one video you want to convert to MP4 in the disc, you will have to add them to the queue one by one by repeating the steps mentioned above. 3. Select a preset profile for the output video from the preset list on the right side. The default output format of most presets are MP4, so you can select one of them according to your needs. It’s got different presets for different devices and universal presets. Select one that you think is the most suitable. 4. 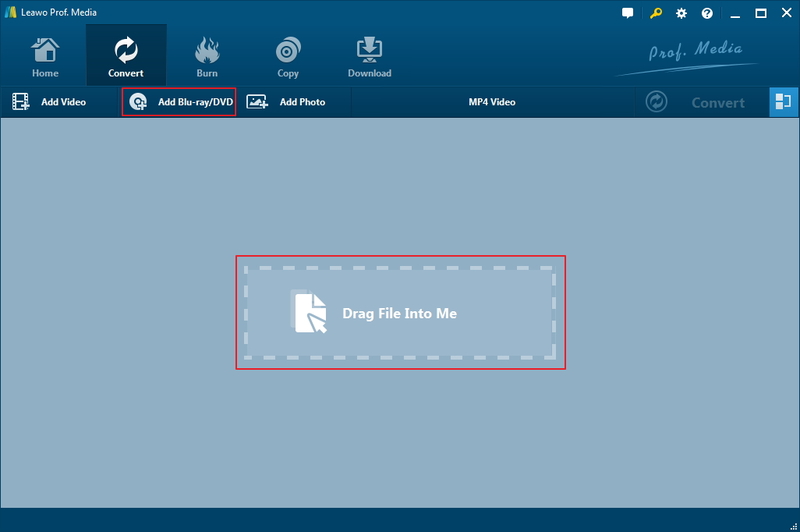 Set an output path for the output MP4 video under Destination. 5. Click Start to start converting DVD to MP4. Both programs can convert DVD to MP4 on Windows 7. But Handbrake can only output MP4 and MKV videos while Leawo DVD Ripper offers way more output formats than Handbrake. If you want the program to do more things other than just converting DVD to MP4, you should get Leawo DVD Ripper. It can also rip DVD to play on Apple TV, Android devices, Windows Phones and a lot other devices. 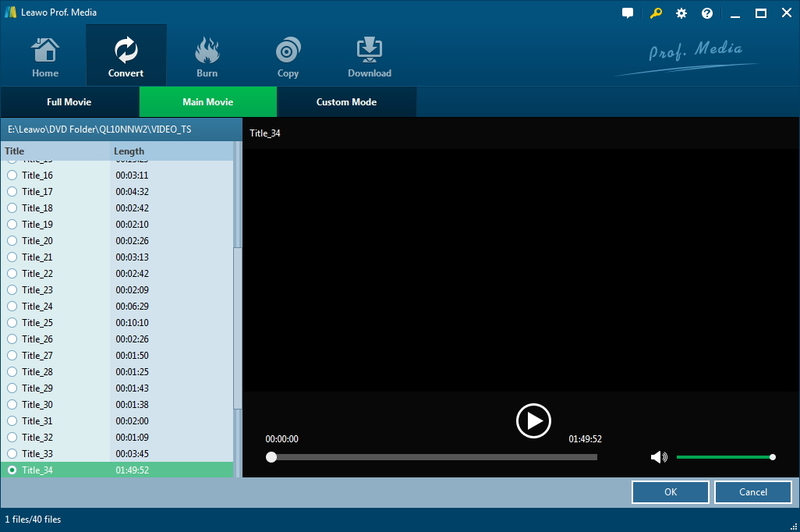 And you can also use it to extract audio from DVDs if you want.